HOUSTON- Energy giants all over the world gathered Monday in the U.S. oil hub of Houston to attend the world’s largest geophysics and energy exploration meeting. 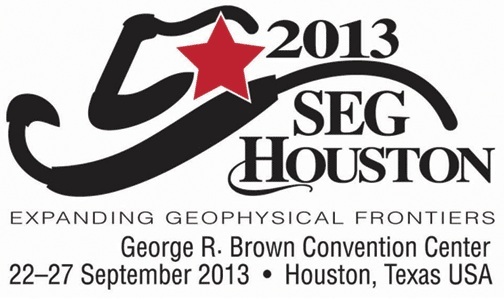 The Society of Exploration Geophysicists (SEG) annual conference and international exposition, which lasts through Friday, is held in the George R. Brown Convention Center in downtown Houston where a galaxy of symposiums, exhibitions, student workshops and programs took place. The meeting mainly focused on the upstream energy industry, namely exploration and development. It is expected to draw over 10,000 attendees. More than 380 international energy firms are presenting their latest technologies at their booths. Several Chinese companies including PetroChina’s Research Institute of Petroleum Exploration and Development (RIPED), PetroChina’s BGP INC., and SinoPec’s Geophysical Corporation have also set up their own booths this year. Vice President of RIPED’s northwest branch Wang Xiwen told Xinhua it was their first time to attend the exposition. He said he hoped to bring their newly independently-developed applications to their foreign counterparts and seek opportunities for cooperation and business. SEG, founded in 1930 in the U.S., is a nonprofit organization aimed at promoting the science of applied geophysics and the education of geophysicists. The society, headquartered in Tulsa, Oklahoma, fosters the expert and ethical practice of geophysics in the exploration and development of natural resources, in characterizing the near surface, and in mitigating earth hazards. SEG has more than 33,000 members in 138 countries. The SEG International Exposition and 83rd Annual Meeting is the world’s largest oil, energy and mineral exposition showcasing cutting-edge technology for use in exploration and associated industries. 1930 On 11 March, twenty-nine men and one woman met in Houston at the University Club to found the Society of Economic Geophysicists. Donald C. Barton was elected the first president. On 20 May, a constitution and bylaws were adopted, and two papers were published in mimeograph form. 1931 The group’s name was changed to Society of Petroleum Geophysicists (SPG), and the first convention was held in conjunction with AAPG. 1932 SPG became the “Division of Geophysics of the AAPG.” The Society continued to meet with AAPG through 1955. 1936 The first issue of Geophysics published. 1939 Patents section first appeared in Geophysics. 1940 First Cumulative Index published. Membership: 892. 1946 Constitution amended to permit establishment of Local Sections. 1948 Council created and met in Denver. First Local Sections chartered. Student Sections formed. Best Paper Award first presented. 1950 First Distinguished Lecture Tour organized. Membership: 2,566. 1951 EAGE organized. Back issues of Geophysics available on microcards. 1953 Geophysical Prospecting appeared as a quarterly. 1954 Executive Committee voted to separate the Annual Meeting from the AAPG. First Associate Editors appointed to assist the Editor of Geophysics. 1955 SEG held its last joint meeting with AAPG, then celebrated its twenty-fifth anniversary with a separate meeting in Denver. 1956 The first Yearbook was published, and SEG’s scholarship program was initiated with $12,125 distributed to thirteen students. 1960 A silver anniversary issue of Geophysics published listing “classic” papers of the first twenty-five years of the journal, which were selected by a panel of judges. Membership: 5,724. 1961 The SEG Medal Award (later renamed in honor of Reginald Fessenden) was created. 1965 When the SEG staff moved into the Society’s new building in June, there were 5,837 members. 1968 SEG accepted an invitation from the Society of Petroleum Engineers to become a cosponsor of the Offshore Technology Conference. R. E. Sheriff published in Geophysics, the “Glossary of terms used in Exploration Geophysics,” the precursor of hisEncyclopedic Dictionary. Sheriff received the Virgil Kauffman Gold Medal in recognition of the glossary. 1969 Emeritus Membership was established in 1970. Membership: 7,306. 1971 The fiftieth anniversary of the reflection seismograph was observed at the Midwestern Meeting in Oklahoma City with the dedication of a monument near the site of the tests of that technique. 1972 The first book published jointly with AAPG, Stratigraphic Oil and Gas Fields-Classification, Exploration Methods, and Case Histories, appeared. It was to be twenty-five years before the second joint publication effort by the two societies. 1973 Sheriff produced SEG’s all time best-seller, Encyclopedic Dictionary of Exploration Geophysics. The addition of three new student sections brought the total to twenty-eight. 1978 The Maurice Ewing Medal Award was established as SEG’s highest award. 1979 Geophysics began monthly publication, and fifteen Continuing Education courses were offered. 1980 In the 50th anniversary year of the Society, when the total membership was 14,172, there were 12,319 registered at the Annual Meeting. Eleven of the original thirty founders of SEG attended and were honored at that meeting. That attendance record has not been broken. 1981 A record $4 billion was spent on geophysical acquisition and processing in 1981. More than 100,000 attended the OTC that year. 1982 Geophysics, The Leading Edge of Exploration, debuted in June. The SEG scholarship program passed the million-dollar mark with awards of $130,800. Expanded abstracts were required for all papers presented at the 52nd Annual Meeting. 1984 The Geophysical Resource Center was completed and occupied. It was dedicated the following year. 1985 Two special issues were published to commemorate the fiftieth year of publication of Geophysics. A new film about geophysical exploration, Seeing the Unseen: Geophysics and the Search for Energy and Minerals, was produced. 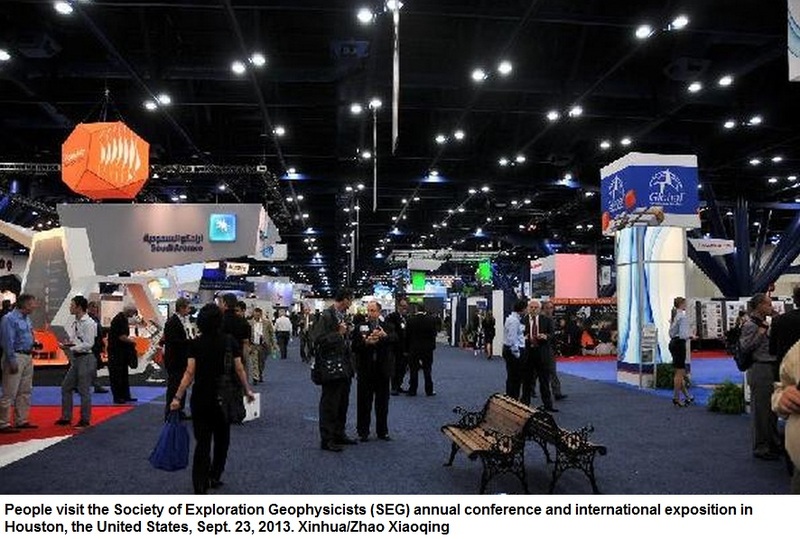 The First Annual Gulf Coast Exploration and Development Meeting was held, and the first joint meeting of the China Petroleum Society and SEG took place in Beijing. SEG’s membership of 19,559 was the highest total to that point, and would remain the record for 10 years. 1986 Shell Companies Foundation donated $100,000 for books and periodicals to the SEG Library in the Geophysical Resource Center, and the building was named the Cecil and Ida Green Tower. 1987 Seismic Data Processing, Özdogan Yílmaz’s best seller, was available at the Annual Meeting in New Orleans. This was to become the second all-time revenue producer behind Sheriff’s dictionary. The SEG Foundation was reorganized. 1988 An agreement with AAPG, SPE, and SPWLA led to the formation of an Intersocietal Coordinating Committee. The first EAEG-SEG joint research workshop under a new agreement to hold alternating workshops every other year and the first ASEG-SEG joint meeting were held. 1989 Initiation of the SEG Foundation Trustee Associates. 1990 A 15-tape set video short course, given by Oz Yílmaz and based on his Seismic Data Processing, was produced by Western Geophysical and offered to SEG to market. Membership: 14,964. 1991 Attendance at the 61st Annual Meeting in Houston was 10,670. The Executive Committee adopted a policy of holding a midyear meeting annually in a venue outside North America. 1992 Successful meeting held in Moscow. Record income of just under $7 million for the year. 1993 GEOROM, a set of CD-ROMs containing fifty-seven volumes of Geophysics – 1936-1992 – fully searchable, was produced. The mortgage on SEG’s building, the Geophysical Resource Center, was retired. 1994 A nine-year decline in membership was interrupted when gains were shown in each category of membership. GEOROM was expanded to include selected articles from The Leading Edge plus Sheriff’s Dictionary, The Cumulative Index, and Expanded Abstracts from the Annual Meeting. An SEG Home Page, hosted by Stanford University and maintained by volunteers led by Brian Spies, was established. 1995 A CD-ROM of the Expanded Abstracts of that meeting was offered at the Annual Meeting in Houston. 1996 The donation of a Sun Netra Webserver to SEG by Sun Microsystems allowed the Web site to be moved to the Business Office, enabling the entire Internet operations to be done in-house. 1997 The Distinguished Instructor program was inaugurated, wherein a selected individual presents a short course in various sites around the globe. The first instructor is Ian Jack. A constitutional amendment was approved which increased the membership of the Nominations Committee from the historical three most recent past-presidents by four members to be selected by a prescribed method from the Sections and Associated Societies. 1998 An all-time record of 1,457 booths were sold for the Annual Meeting in New Orleans. The SEG Museum was reorganized by the addition of a Virtual Museum and Traveling Museum to the existing museum in Tulsa. The Distinguished Educator program was launched and Robert R. Stewart of the University of Calgary was chosen as the first honoree. A new logo was adopted by the Council to reflect the Society’s increasingly international nature. 1999 Despite a turbulent year in the petroleum industry, the Annual Meeting in Houston drew 11,103 attendees, and there were 1,276 booth sales—second-highest total ever. Also, paid membership grew to nearly 16,000, the highest total since 1987. A major redesign of the SEG Web site was completed, and an equipment donation from Sun Microsystems helped prepare SEG for a bold digital future. 2000 SEG Annual Meeting returns to Calgary for the first time since 1977. This is only the third time the meeting has been held outside the United States. Sally Zinke becomes the first woman to hold the office of SEG President. The increasing percentage of members residing outside the U.S. causes the International Affairs Committee to be radically restructured and renamed the Global Affairs Committee. Membership: 16,894. 2001 The SEG Executive Committee authors a strategic vision of the future of geophysics and SEG’s role in it. While SEG’s Annual Meeting is under way in San Antonio, the terrorist attacks of September 11 take place. The meeting proceeds with only minor disruptions. Mary L. Fleming, director of programs at the American Statistical Association, is selected executive director in December. 2002 The fourth edition of SEG’s all-time best-selling book, retitled Encyclopedic Dictionary of Applied Geophysics to reflect the increasingly diverse employment of the membership, is published. Attendance at the Annual Meeting is disappointing, probably because of the out-of-the-mainstream venue (Salt Lake City) and the travel restrictions imposed after the terrorist attacks a year earlier. However, the meeting has one of the all-time magical moments of any SEG convention—the multimedia presentation of Robert Ballard, discoverer of the Titanic, which wows hundreds of junior high students and experienced geoscientists. 2003 SEG membership exceeds 20,000 for the first time, and a majority of members lives outside the United States. 2004 To address income disparity among geophysicists around the world, the Council approved a three-tiered dues structure that allows Active membership at all three levels. Membership approaches 23,000. 2005 SEG marked its 75th anniversary with celebrations at section meetings throughout the world, a special publication, retrospective journal articles, a video about geophysics and the Society, an extra distinguished lecture, historical photos on the SEG Web site, and special exhibits at the Annual Meeting in Houston. Membership surpassed 25,000 late in the year. 2006 SEG held a highly successful Annual Meeting in New Orleans barely a year after Hurricane Katrina devastated the city.Membership exceeded 27,000 late in the year. 2007 The SEG Foundation launched a US$15 million major-gifts campaign, “Advancing Geophysics Today, Inspiring Geoscientists for Tomorrow,” aimed at accelerating the rate of geophysical innovation and knowledge transfer and attracting more young people to careers in the geosciences. 2008 SEG opened its first office outside the United States in Beijing, China, on 3 April. The SEG Foundation exceeded its US$15 million campaign goal, celebrating pledges totaling more than US$17 million during a celebration at the Annual Meeting in Las Vegas, USA. At year’s end, pledges totaled US$17 232.410. SEG membership exceeded 33,000. 2009 Despite a worldwide recession, SEG’s Annual Meeting in Houston drew more than 9,200 delegates and filled four exhibit halls with technical session posters and exhibits. 2010 A governance-reform proposal that would have established an 18-member board of directors as SEG’s primary governing body is narrowly defeated by the SEG Council. Steven H. Davis is selected as the Society’s executive director, replacing Mary L. Fleming, who retired. 2011 New SEG Bylaws were approved through a vote of Active Members and call for a Board of Directors with at least 14 voting members serving multiple-year terms. 2012 SEG opened a Middle East Office in Dubai and launched a new journal, Interpretation, which it will copublish with AAPG.